New for 2018! 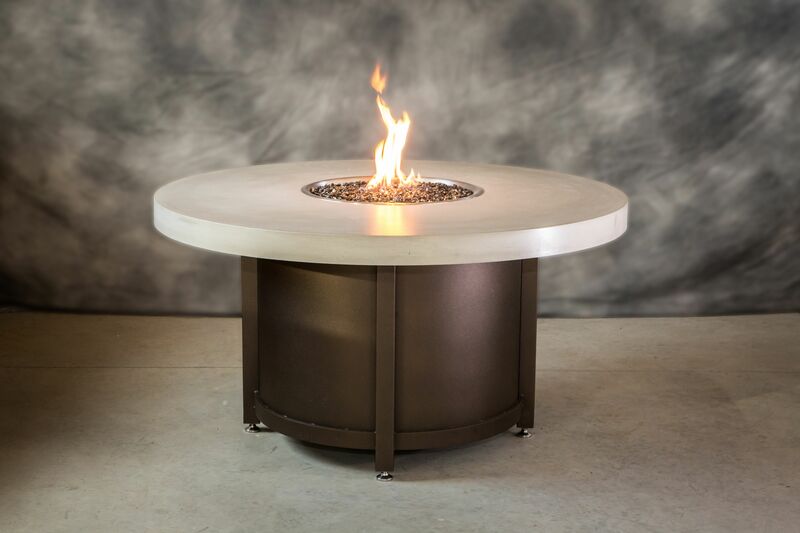 Finally, a beautiful outdoor dining fire pit table with a custom concrete top. 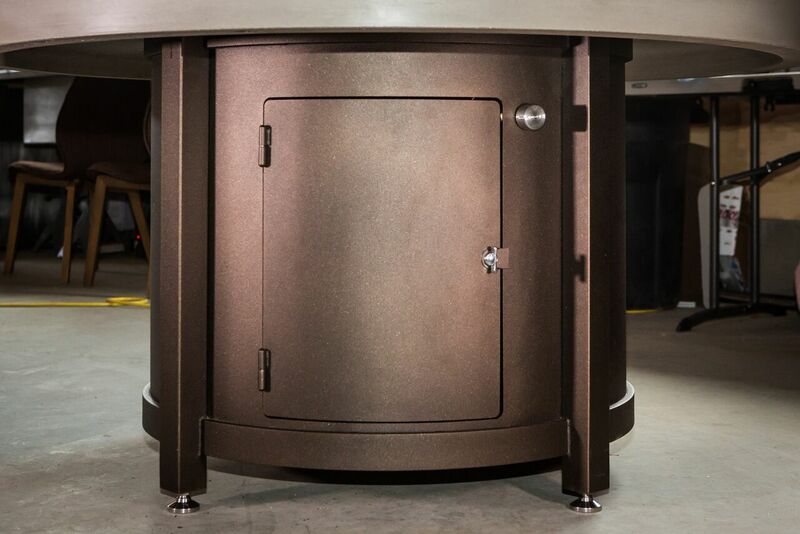 For those that need a fire pit table as rugged as the Rockies, the COOKE Colorado elevates a classic outdoor fire pit table design to a higher level of durability, convenience, and performance. The Colorado features a premium satin-finish sealed concrete top with a clean, contemporary 4″ edge. This rich, beige colored, slightly textured table top looks very natural in garden landscaping or patio hardscapes. The 55″ diameter top seats up to 6 or 4 very comfortably. 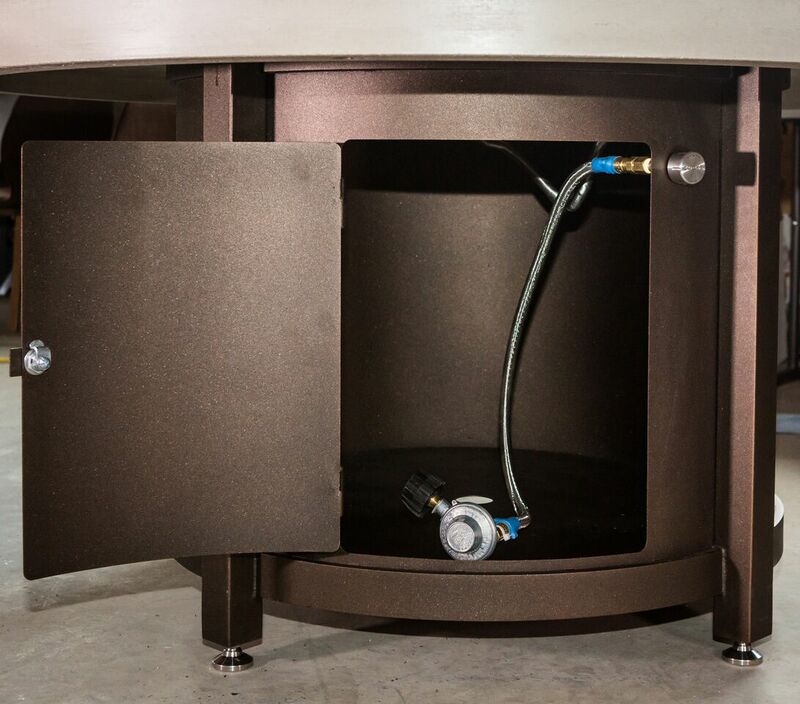 A low profile stainless steel fire pit lid covers the burner when not in use. 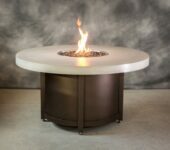 At COOKE we design fire pits that looks good, fire or not. The 30″ height allows for comfortable dining with enough clearance for chairs with arms. COOKE tables give you more foot room, more space, at the perfect height. 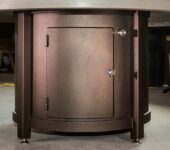 Choose from our thousands of powdercoat colors to give your table that special accent, personalized for just your space. Available heights 42", 30", 24" ,22" or 17"